This shiny white miniature Christmas tree from Kurt Adler is a charming addition to any holiday décor, perfect for desks or other small displays of holiday cheer! 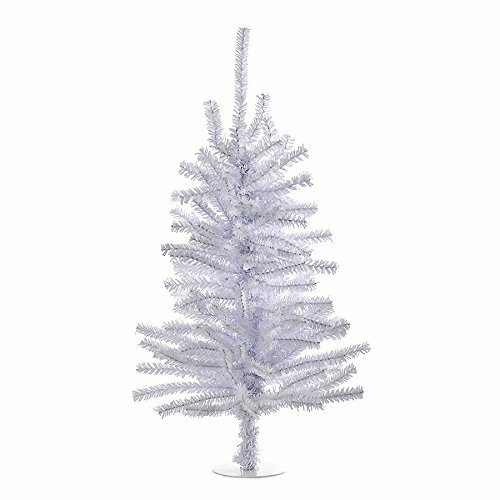 Features a delightful miniature Christmas tree in shimmery white. Perfect for displaying holiday spirit when space is limited. Perfect size & color for Easter/Spring ornaments. The white tree can also be used to spotlight a favorite color, such as purple.